Sister Wives spoilers reveal Kody Brown and his women roll out an interesting episode when the series returns. With the Super Bowl Sunday night, it looks as if TLC held off on airing a new Sister Wives episode this week. Instead, the network scheduled a marathon of Dr. Pimple Popper. 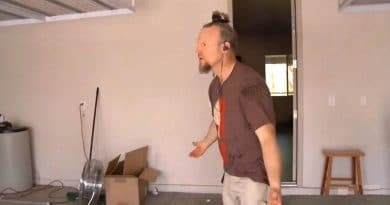 The new episode, “Kody Wants Out” doesn’t air on TLC until next week, but Sister Wives spoilers show that Kody Brown whines and makes everything all about himself. This can happen when your hair is pulled back too tight. Kody Brown’s hair is pulled up in a bunch on the top of his head for his man bun. So maybe the guy is cranky due to the pressure from the hair pulled together on top of his head? Spoiler Alert! The number of times Kody Brown uses “I” in next week’s episode, is a good indication of how he rules the roost. The number of “I”s that come out of his mouth is enough to put you to sleep, much like counting sheep. The first incidence of his woes comes with the possibility of Ysabel Brown needing surgery for her scoliosis. While Christine Brown’s conversation is geared towards how this effects Ysabel, Kody is all about how it affects him. While Christine said it is playing havoc with their daughter’s self-confidence, he disregards that as nothing. He looks at the TLC cameras and shares how he doesn’t care if it plays with her self-confidence for a few years. 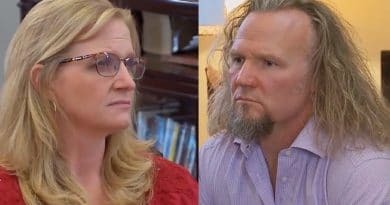 Sister Wives spoilers say Kody Brown tells the camera he is angry and his daughter is beautiful the way she is. As long as Ysabel’s crooked spine doesn’t affect her health, he can live with it. But it’s not the father who will live with it, it’s his daughter. Again it’s all about Kody Brown. Aspyn Brown gets engaged to Mitch Thompson in this episode but as they plan the wedding Kody Brown complains about the cost. When talking about the wedding venue, he shares that he has a hard time when it comes to serving hard liquor at a wedding. 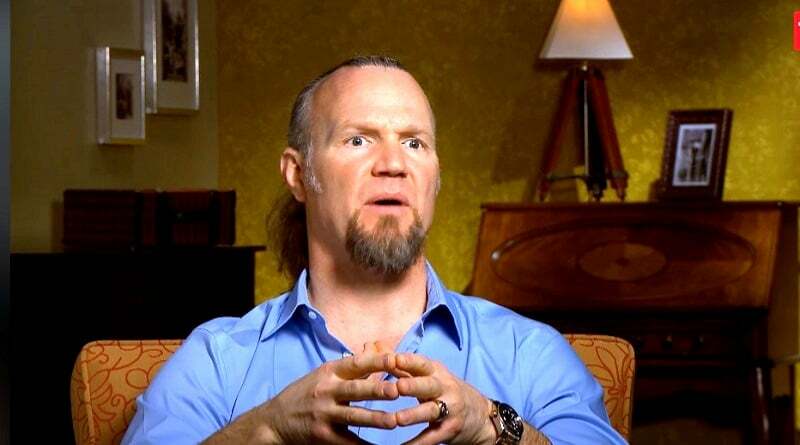 The patriarch of this Sister Wives clan claims it’s because he doesn’t like drunks. Kody doesn’t mind beer and wine but doesn’t care for hard liquor. Maybe he has no idea that you can get drunk on beer and wine as well as hard liquor? 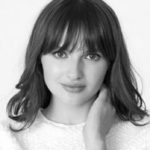 Maybe the husband of four is skirting the real issue – cost. Hard liquor is much more expensive to serve than beer and wine. More Sister Wives spoilers expose that the only excitement Kody gets out of this outing is flirting with Hannah, who is Mitch’s mother. All four of his wives notice how he flirts with this woman. But even that didn’t stop him, as he keeps going on about the expense of the wedding. Kody Brown can’t find his clothes at Christine’s house. He complains that he has four homes but his socks gather at one house and his underwear at another. He actually puts his head down on the dresser and sulks during this Sister Wives new episode. Kody, Janelle, Robyn, and Christine get ready to leave for Meri’s B&B grand opening. Kody’s mother is with them. On a side note, you can see where he gets his wavy hair. Kody Brown doesn’t pay much attention to the B&B festivities. Instead, he goes on and on about missing Utah. He suddenly has the urge to move back to the state. He says he wants to go back and pick a fight with their laws. While his wives don’t want to move, Kody continues to insist they should move. Yep, Kody Brown takes front and center in all the events happening in this episode. Ysabel’s heartache over scoliosis is more about himself. As Aspyn and Mitch pick a place for their wedding and Meri has her B&B – it’s all about Kody. Check out the next new episode of Sister Wives now before it airs via On-Demand or on the website for TLC. Then catch the other new episodes Sunday nights on TLC. Come visit Soap Dirt again for the latest Sister Wives spoilers and breaking news. 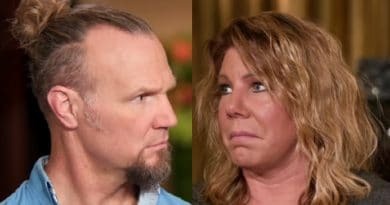 ‘Sister Wives’: Kody Brown Pulls Fast One on Meri Brown – Childish Game of Musical Chairs?